Assembly's Autumn/Winter Gathering is here! 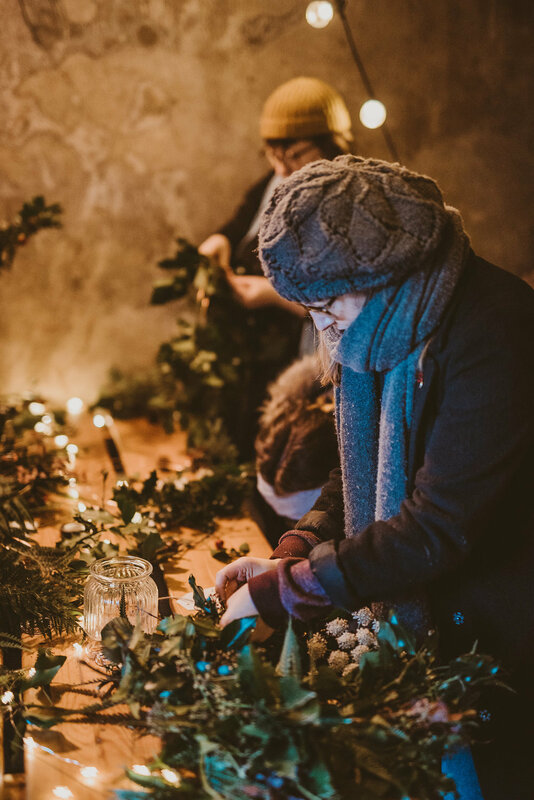 You’ll be greeted with warming drinks and bites to eat then we’ll indulge in some incredible workshops together. Our first workshop will be with the awesome Becky Cole of Broughgammon Farm. We’ll learn how to use nature to ward off colds and ailments of the winter as Becky leads us in making our own natural remedies to take home and use. Becky is a natural living expert and comes with a wealth of knowledge about how to care for your body naturally and in tune with the seasons. Our second workshop will get your creative juices flowing as Gillian from Flowers by Mee leads us in making an alternative winter wreath. With heaps of greenery, foliage and ribbon to play with, you’ll leave with a beautiful piece to adorn your door this season. Food and drinks will be flowing throughout and we will sit down to dine on three delicious courses of homemade local food served by the incredible team from The Edible Flower. If you have tasted anything from this girl-power team before, you’ll know you are in for a treat! Our Autumn/Winter Gathering will be a beautiful time of recharging, reconnecting and investing in your creative path in the company of other honest and inspiring women. + Please dress warm. We’ll be inside the whole time and the venue is heated, but it's still Northern Ireland in November!